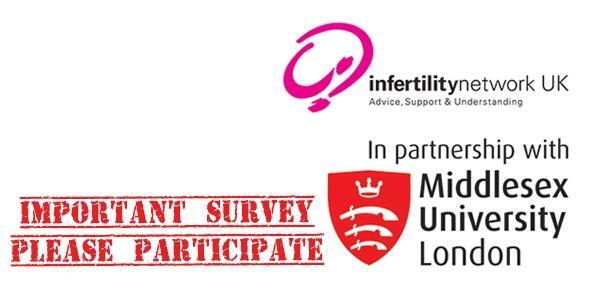 Could you help Infertility Network UK to find out more about the impact of fertility problems? The charity is conducting a large-scale survey and would like as many of those affected by fertility issues as possible to reply. They want to know how fertility problems affect you directly, as well as the impact they have on your relationship with family and friends, in the workplace and any other sphere of life. They hope the results of this survey will help influence future policy around fertility services, including access to NHS-funded treatment. They also aim to identify what level of support is needed before, during and after fertility treatment, as well as for those who choose not to pursue assisted reproductive techniques. This entry was posted in fertility, Fertility treatment, infertility, IVF and tagged emotional impact of infertility, fertility survey, fertility treatment, infertility, Infertility Network UK, IVF by fertilitymatters. Bookmark the permalink.